But, before I send you on your way with the final letter to your code, I’ve got a couple of things to share with you! Secondly, I have a couple of brand-new collabs in the shop, and I’d love to have you check them out! 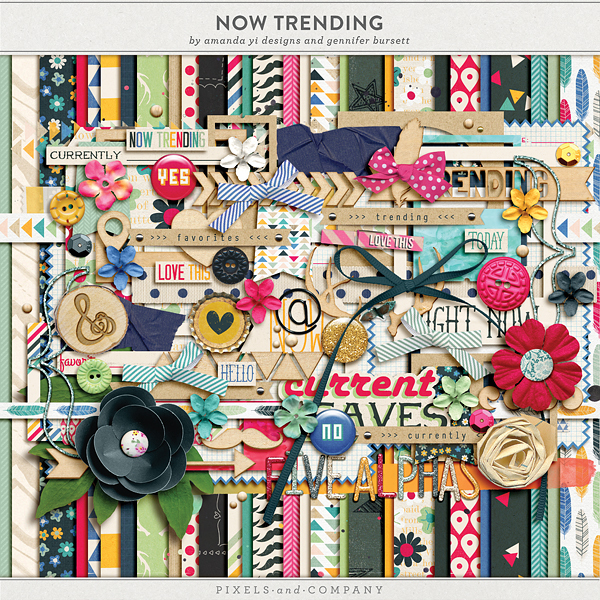 First up is Handmade, with the über-talented Jen Allyson, featuring lots of unique papers, doodles, and elements for a totally handcrafted feel: Amanda Yi Designs and I also put together a fun one called Now Trending, full of bright colors and trendy motifs: I also have two great build-your-own Grab Bags for you, in both Boystache (medium) and Manstache (large) sizes. 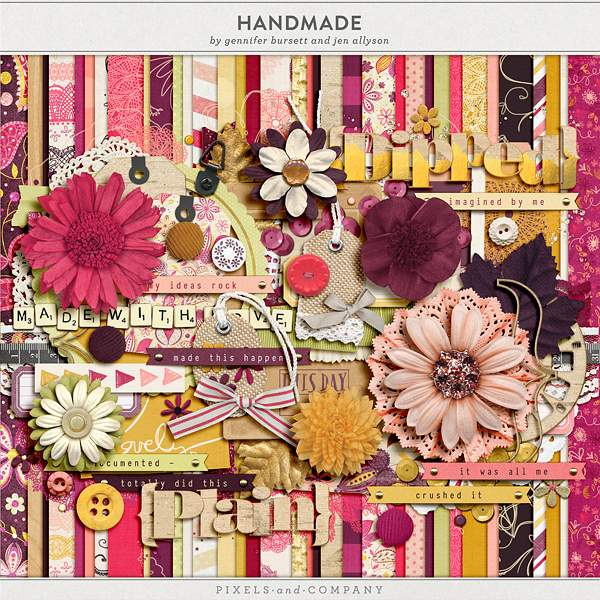 Just list the kits you want (from my store) in the “customer notes” section when placing your order, and I’ll send you a coupon code to download them within 48 hours! Alright, that brings us to the end of our regularly-scheduled program. Here’s my portion of North of Ordinary: And, here’s a little tidbit of trivia for you: Two years ago, almost to the day, I was in the process of planning a store. 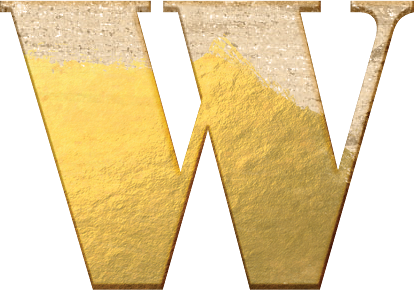 The very first step – before you start planning a website, or designing a logo – is to come up with a name, and it’s also one of the most difficult. I had quite a few of my fabulous friends and colleagues helping brainstorm, and we came up with (what we thought was) the perfect name for the new store. Unfortunately, when I went to buy the domain, North of Ordinary was already taken. 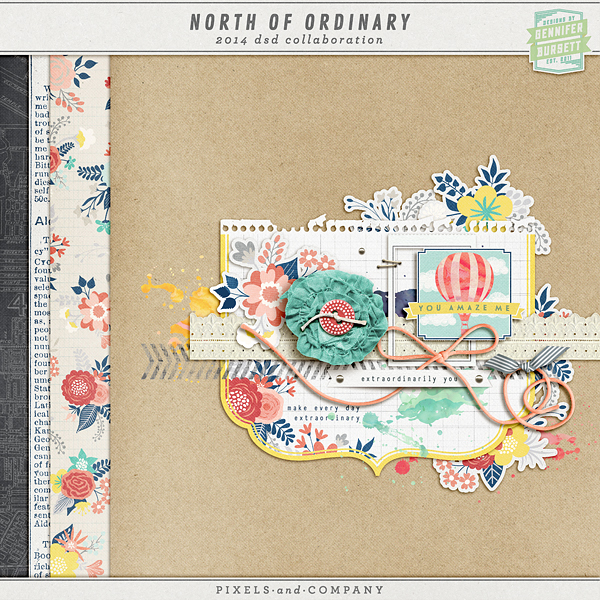 We went back to the drawing board, and ended up with the Pixels and Company that you are familiar with today, but the name (and concept) of North of Ordinary has stuck with us, and is what inspired this P&Co collab. True Story. Gennifer Bursett <– You are HERE! And with my letter (below), you should have a grand total of 20 characters. 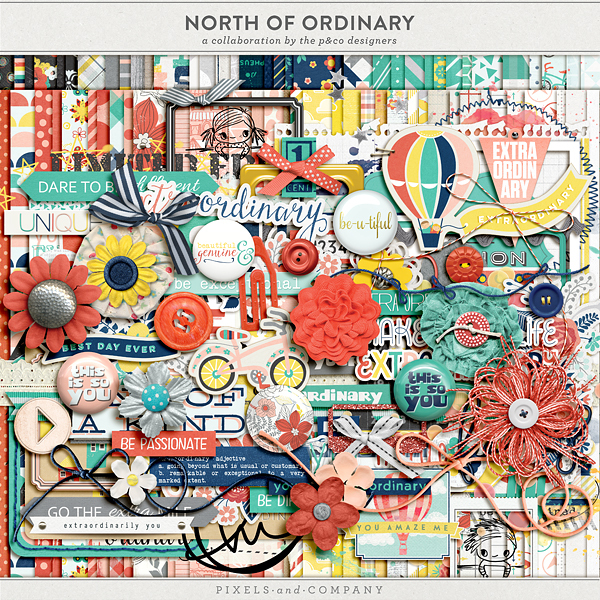 You’ll want to add North of Ordinary to your cart, and then enter the code – all uppercase, with no spaces – in the “coupon code” redemption field, and then check out as normal. Have fun!